My friend Jenny recently went to South Korea and asked me if I wanted anything and of course, I said yes! 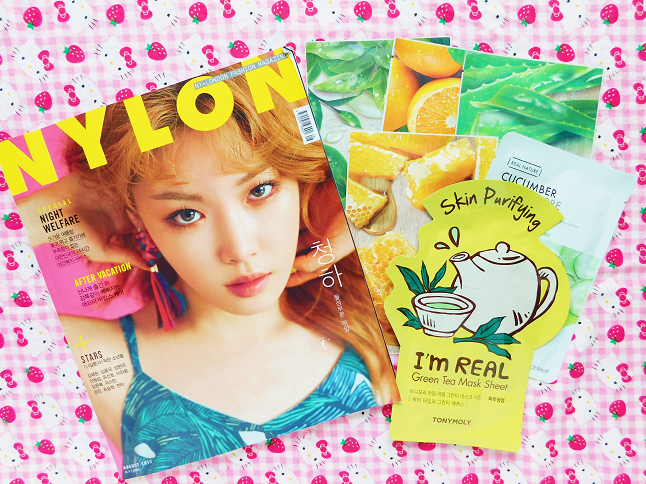 I asked for a Nylon magazine (my favorite magazine but not the US version) and a couple of sheet masks. Not only did she get what I asked for but she brought me back more than I imagined so I wanted to share what she gifted me. If you are reading this Jenny thank you so much! She did find me a Nylon magazine and it had Chung Ha on the cover. I don't really know who she is all I know is that she was on Producer 101 but I love her song Why Don't You Know. Jenny also picked up a couple sheet masks from Nature Republic and Tony Moly. 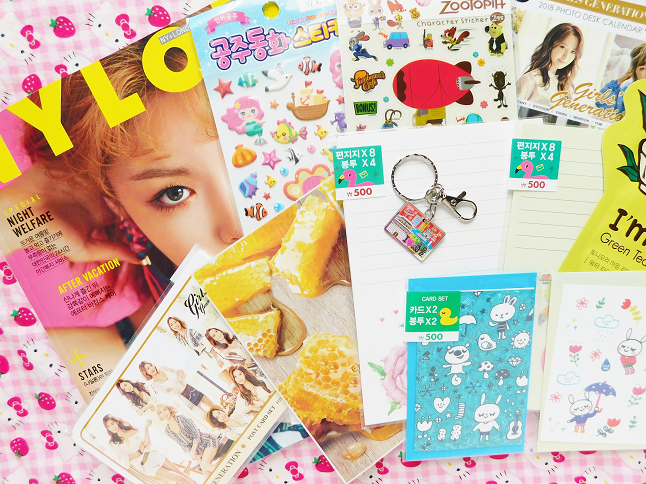 Here is all the stationery that I received everything is really cute! 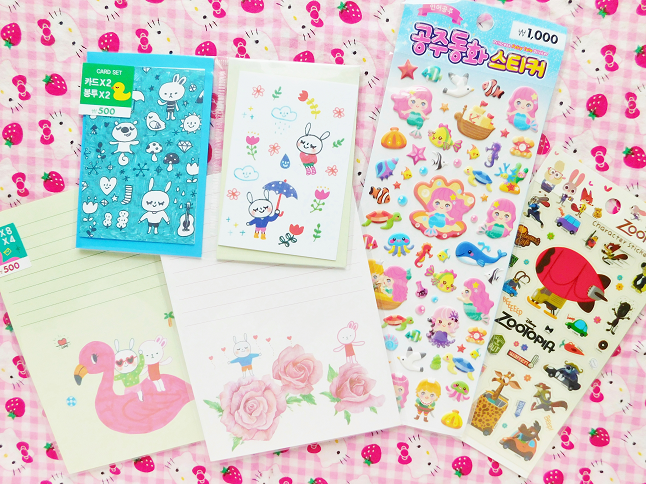 Those puffy mermaid stickers are so adorable! 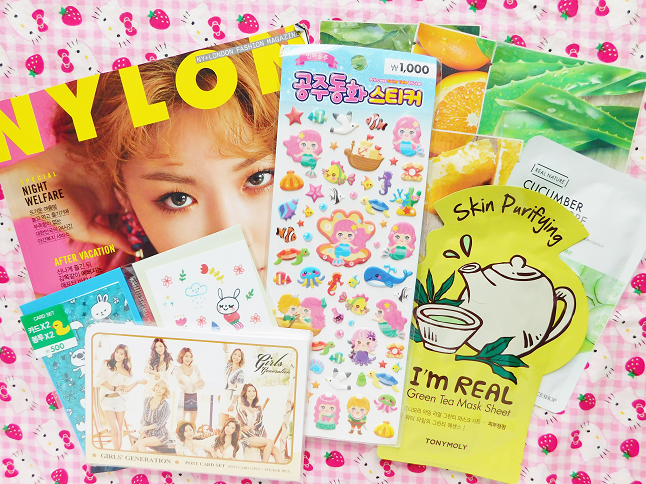 Jenny knows that I love K-pop especially Girls' Generation so she picked me up some Girls' Generation merch. On the left is a 2018 calendar and on the right is a post card set. There are some photos from when they were promoting PARTY and Lion Heart. The girls look gorgeous in each photo! One of my favorite souvenirs thing that Jenny got me was this I ♥ Seoul keychain. The keychain contains a bunch of monuments from Seoul.